One year ago today, I posted my first track here on this WordPress blog. 376 tracks later, I have not missed a day or post, which even exceeds my expectations going into this. It has ended up truly being a “daily track pic” site. So in honor of my 1-year anniversary, I’m going to re-post my “home” track, but with a new picture. 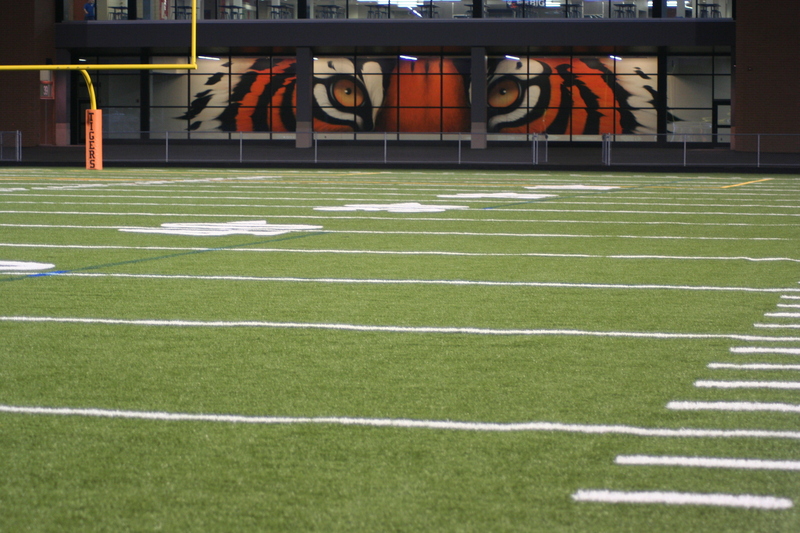 The Tiger Eyes, seen from the field at night. This is the school where I teach and coach, and is where I do pretty much do all of my own training as well. This track is four years old now, but is still in near new condition. I might be a little biased, but I think this is one of the best high school venues in the state of Minnesota. 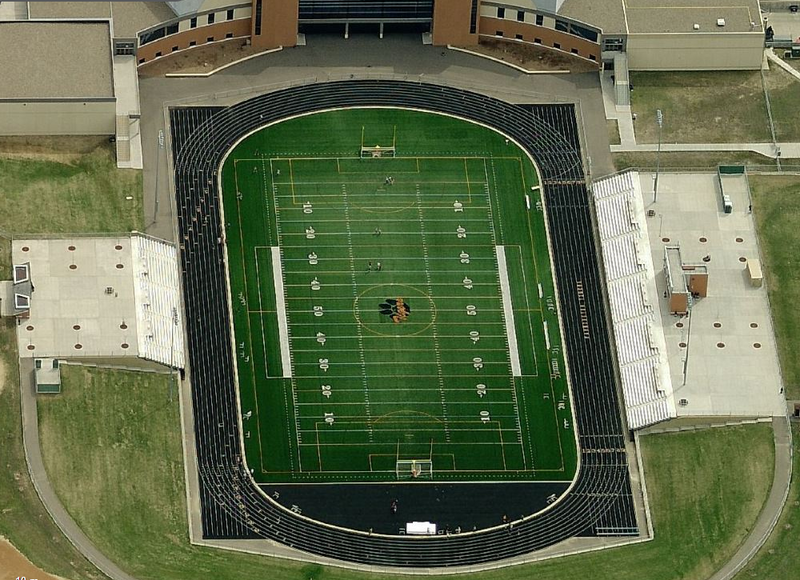 It’s in a bowl, has FieldTurf, and is located directly behind the school. It’s awesome. The track has nine full lanes, and wide turns. For field events however, it’s not the greatest setup. They are not even in this picture, except high jump, and would be outside the frame to the left. Not very convenient for athletes or spectators. The aerial pic this time comes from Bing. My car is in the parking lot, so there is a chance that I am actually in the photo, either on the field or track! In the last year, I have learned a lot about the sport of track & field, as well as some of its history. I have also learned a great deal about world geography in this process. It’s been a lot of fun, I hope to continue that into year #2 for the Daily Track Pic blog. I’ve got some things planned for future posts, so stay tuned and thanks for reading!